While Jim Henson and his legendary creature shop may be best known for giving the world The Muppets, there was a time in the 80’s when the puppetry master was forgoing the brightly coloured felt for decidedly darker kiddo fare, most notably Labyrinth and The Dark Crystal. While Labyrinth has endured mostly because of the David Bowie of it all, the love for The Dark Crystal has grown over the years because of its perfectly realised world full of fantastical creatures and it’s groundbreaking animatronics. 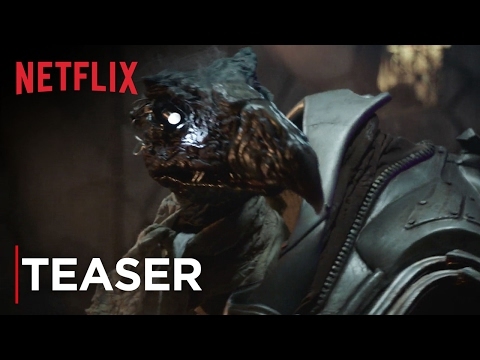 For those children of the 80’s who have been waiting decades for another trip to the world of Thra, your prayers have been answered with Netflix announcing a ten part mini series, The Dark Crystal: Age of Resistance. What’s even better, the film’s original conceptual designer, Brian Froud, is on board to design the series’ new characters. The series will chart the raise to power of the evil Skeksis (still looking as creepy as ever), and the three young Gelflings who ignite the fires of rebellion against them. Having pretty much lived on The Dark Crystal as a kid, both enthralled and terrified by the practical effects, I am beyond excited for this series, especially that they’re keeping it old school and not resorting to CGI.